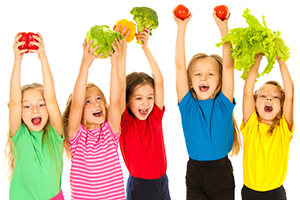 Dedicated to the nutritional and activity needs of young children (ages 3-6), Spriggles motivates and educates kids to lead healthy, active, and energetic lives. Named an Educational Book of the Year by the Michigan Governor’s Council on Physical Fitness, Health, and Sports, Spriggles books are currently part of numerous WIC, Head Start, PK-1, and child care programs throughout the country, as well as University Cooperative Extension curricula in the area of early wellness education (Virginia Tech, University of Kentucky, Lincoln University, University of Missouri, Western Illinois University, and University of Florida). The books provide children critical stepping stones toward understanding the value of nutrition and physical activity.